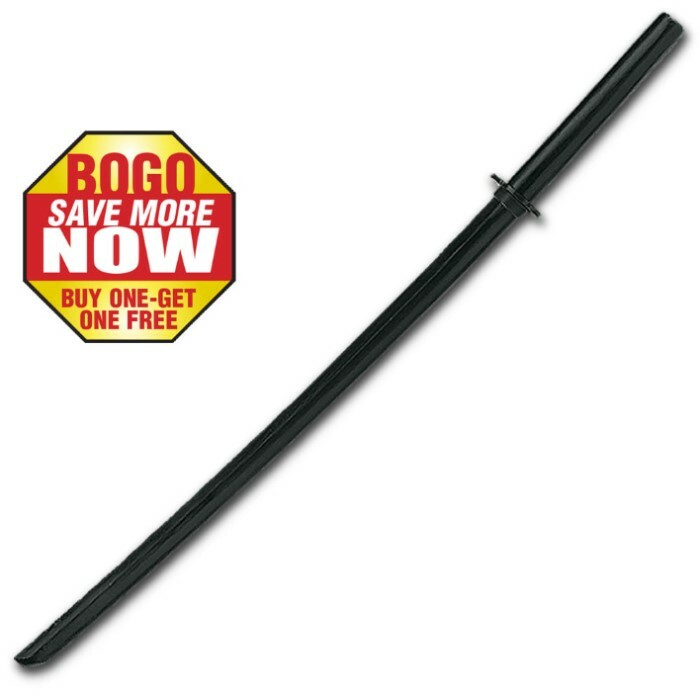 This is a superb item with which to safely practice your martial arts or sword skills while protecting yourself, your partners, and your equipment. Measuring 40" overall, this daito features finished black hardwood construction and two-piece guard. Ideal not only for training but for your wallet as well! Purchased for pratice, 2 for 1. Has helped me and misses get use to the moves needed for actual sword use with out the damaging effects .... recommended for that and defensive walking stick.